- Whether it is in a related or unrelated field, gaining a summer job or internship will help you develop transferrable skills that are essential in any work environment! It is also a great way to figure out what you do and do not like in terms of careers. - If you don’t meet the job requirements, or you don’t have the time to work in a related field this summer, volunteering is a great option for you. Volunteering requires less time commitment than a job, gives you valuable experience you can add to your resume, and is a great way to give back to your community! - Attending a conference, workshop or event in your area of study is a great way to learn more about the different professions within your field. You also will have the chance to network with professionals, and form great connections for securing job opportunities later on. - Do you have a couple different professions in mind for post-graduation and aren’t sure which one would best suit you? 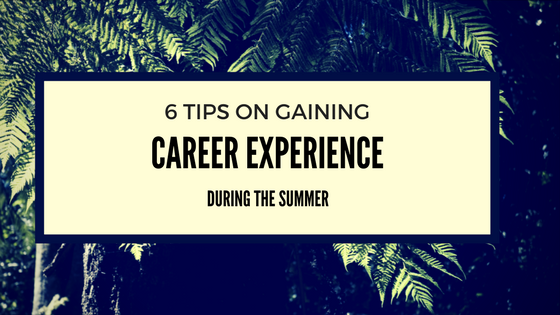 The summer is a perfect time to meet with people in companies or in job positions that interest you, and ask them some questions that you would like to know. Just conduct an internet search and send a few emails to see if the individual would be willing to meet with you – and make sure to go prepared with a list of questions! - If you get the chance, working or volunteering internationally is a great way to enhance your skillset. Whether you are learning a new language, developing your communication and adaptability skills, or increasing your cross-cultural understanding, global experience is viewed as an asset in many workplaces. Also, is there a better time to travel than on your summer break? Do you have any questions on how obtain the mentioned experiences? Drop in to CareerZone or visit our online resource center (careerzone.brocku.ca) for tips on all of your career related questions! 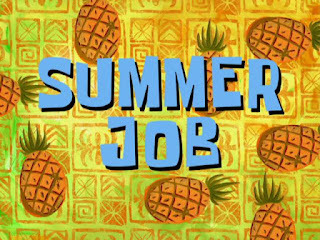 Enjoy your summer Badger’s! Great information! I plan to use these tips throughout the school year and next summer. I never knew about degree exploration guides until visiting this blog and they are extremely helpful for university students who are not sure what to do with their degree. I hope to read more career tips in the future. As a student at Brock, I found these tips to be so helpful! I liked that some of these ideas were unique and unconventional. In particular, I enjoyed that you included all the ways to gain experience other than just getting a job. Thank you, and I look forward to more blog posts!